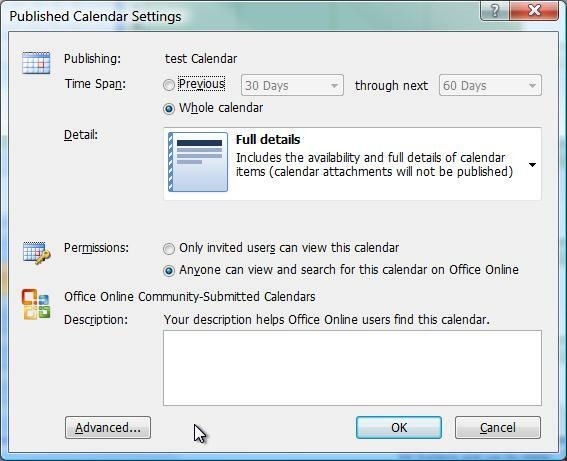 This post is part one of a series in which I’ll summarize what I know about publishing calendars openly on the web, for free, using popular calendar applications including Outlook, Google Calendar, and Apple iCal. 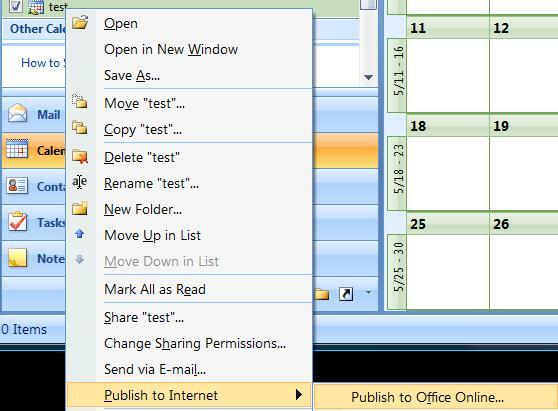 With Outlook 2007, you can publish for free to calendars.office.microsoft.com. You’ll need a Live ID account. If you don’t already have one, a Live ID is useful for many other services too. To get one, start at login.live.com and click the “Sign up for an account” link. You’ll land on this screen, where — for an open public calendar — you can just click OK and take the defaults. Now you’ll be prompted for your Live ID credentials. Enter the email address and password of your Live ID account. 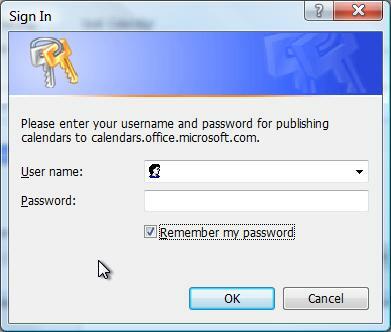 And check “Remember my password” so that Outlook can send calendar updates to the server automatically. 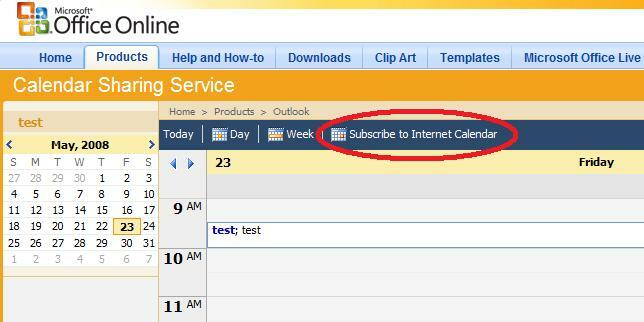 If you publish that link on a web page (more realistically, with a label like Subscribe to calendar), visitors who click the link will be invited to launch one or another calendar program (such as Outlook, or Apple iCal) to view the calendar and subscribe to updates. That same address can be used by online services like http://elmcity.info/events which combine calendars from multiple sources. To form your version of this link, copy the initial part of the above link — the part that isn’t bold — and then replace the part that is bold with the corresponding part from the invitation email shown above. Visitors to that page can view the calendar in several ways. And they can subscribe to the calendar by clicking the Subscribe link. I’m still researching the options. Comments welcome. Author Jon UdellPosted on 23 May 2008 28 May 2008 Categories . You can also use Plaxo plugin whose benefit is that it works for both Outlook and Mac iCal. I have been able to set up a three-way calendar synchronization between Outlook 2003, Google Calendar and Samsung Blackjack running Windows Mobile. The vehicle enabling all this is http://scheduleworld.com, with open source Funambol plugins for Outlook and the phone. While there are some pains during setup and use (you need to carefully avoid some fields which don’t synch right), all in all it’s almost fully automatic for me now. Yes, Outlook -> GCal is one way to push a personal calendar to a public space that supports both interactive viewing and ICS subscription. Does the Plaxo plugin offer a similar push solution? Google’s Outlook sync would be great … if it worked. It should never have been released in its current state. You might include a look at Airset — new launch — for your survey of digital calendars. Airset’s advantage is that it can be used for both professional and personal uses, with seamless integration. It’s available on cell phone (iPhone version on the way), and in addition to a calendar, it includes a wiki, functions for blogging and wikis, lists for people, music, and chores. Its most enthusiastic supporters are teachers, soccer moms, small business owners, and nerds otherwise too preoccupied to take note of family matters. 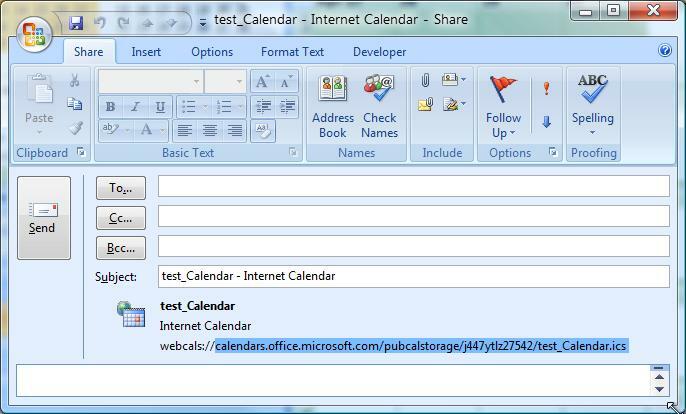 Outlook 2003 has ‘Save As Web Page’ – which just produces a picture of the calendar as HTML, it isn’t really shareable like .ics files are. Outlook 2007 also lets you ‘Save As’ an .ics file which means you can save the file, put it where you want it (on your own web server for example). Why it’s not part of Import/Export I don’t know. What would be great would be “Publish this set of events as iCalendar” that would create an .ics file for each event, and one file with all the events – and which would create a web page with references to all of them. This would allow a page with links that “automagically” open the event in .ics-capable products. Another vote here for Airset… I have a scout troop set up it, along with syncing my Outlook 2003 to it. The merging of the two (actually three) group calendars into a single calendar is extremely helpful with flagging potential conflicts. Um, apropos of nothing, I’m still wondering if that was you at the Town Hall Theatre this weekend. “I just recognized a former Infoworld columnist in the popcorn line,” I told my wife. Possibly the most absurd thing I’ve said since college. Nope, not me. What’s the Town Hall Theatre BTW? Plaxo allows you to either push the calendar data out there on demand (press of the button, which the plugin installs in Outlook). I think the default functionality is more the automatic uni-directional or automatic synch. How usable it is probably depend on your target scenario. If all you want just to publish your calendar out somewhere, google is probably simpler (it also allows you to select whom you want to share the calendar with which is something Plaxo does not do). But if your aim is to synchronise calendars between various machines (running on different platforms) Plaxo is excellent and extremely easy to use. Hope it’s not too late as a response. It isn’t that, really. Instead it’s to form a network of syndicated feeds, where the feeds are of the ICS rather than the RSS flavor. Considering your use case and assuming you are targeting non-experts, I would probably stick to Google or Live as the data repository. Plaxo is great but at the end of the day, it is a social networking site signing up to which is a bit like getting a Facebook account. It is not necessarily a big problem, but why make it more complicated for people than it needs to be. I just discovered a free calendar sync program called Calgoo. It works with google calendar, Outlook, iCal, Plaxo and Sunbird. Has anyone tried it? I haven’t yet. This appears to be broken now. /pubcalstorage/j447ytlz27542/test_Calendar.ics” is now a secure link (https://calendars.etc…) which live calendar states cannot be subscribed to. > This appears to be broken now. I guess either I accidentally deleted the calendar, or it expired. I believe it is a permissions problem. I only used your link as an example for the comment rather than publishing my calendar address. When I create a new calendar in office online, it is only accessible via an HTTPS connection and so can’t be accessed via Live Calendar. If I remove the “S” to create an unsecure connection to my office online calendar, Live Calendar throws an error when it tries to subscribe. 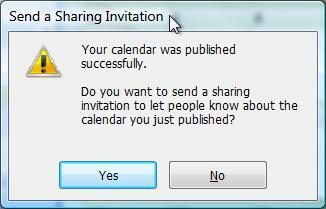 In the past I could create an ICS invitation in Outlook and drop and drag it into a word document. I can’t do this now in Outlook 2007. Has the functionality changed? I want to create an ICS invitation from my calendar that individuals can accept and put on their calendar….if they are interested and want to attend. How bout the ICAL and now in sync with just about everything!